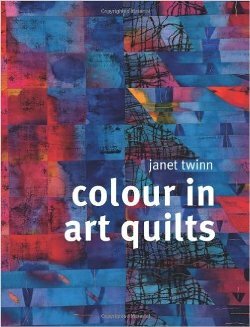 This beautiful book is for quilters who want a deeper understanding of how to use colour in their work, and the part it plays in a quilt's visual impact. It really takes the fear out of using colour. Part One contains the practicalities: * Colour theory explored through the use of fabric. Which fabrics will harmonize (or clash) with which? * Invaluable methods for colouring your own fabric * Tips on how to observe and record colour, including keeping colour sketchbooks and mood boards Part Two, illustrated with stunning images from today's best quiltmakers, covers: * Monochrome: how to create striking two-colour quilts, and how to introduce further colours * A Sense of Place: how travel and observation can inspire your colour choices, which can be used to recreate favourite locations and memories in your quilts * Colour, Light and Pattern: how to bring joyous light and colour effects to your quilts, including an understanding of tonal values in relation to pattern * Colour Association: how colour can be used to create mood and atmosphere, and to suggest a range of emotions from perfect calm to hectic turmoil.